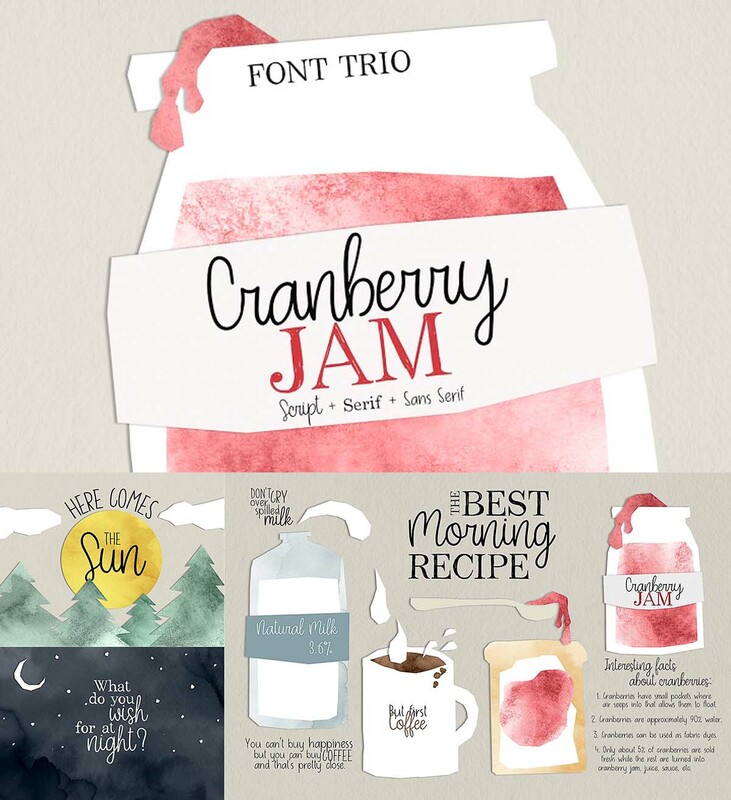 Cranberry Jam includes Script, Serif and Sans Serif, which perfectly cooperating for creating stunning designs. 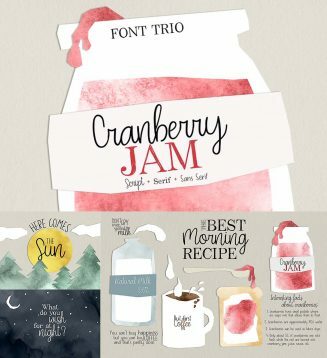 Cranberry Jam is perfect for branding, logos, hand lettering style compositions, recipe books, greeting cards, product packaging, social media, blogs, scrapbooking, headings, flyers, posters, book covers, printed quotes, apparel design, album covers and much more. +Cyrillic included. Tags: calligraphy font, custom font, cyrillic font, cyrillic font trio, cyrillic script, font trio, multilingual, pen, romantic font, serif font, urban font, website font.